Power Supply, under-board mount, with MORE than two A/C outlets? Discussion in 'Effects, Pedals, Strings & Things' started by hobbes1, Apr 21, 2016.
anyone know of such? the number of 9v, 12v, etc ports is irrelevant as it's the a/c I'm wanting, in a small and compact format. My board is a PT Classic Pro. bump. I know that Furman makes a two AC compact version....anyone else? 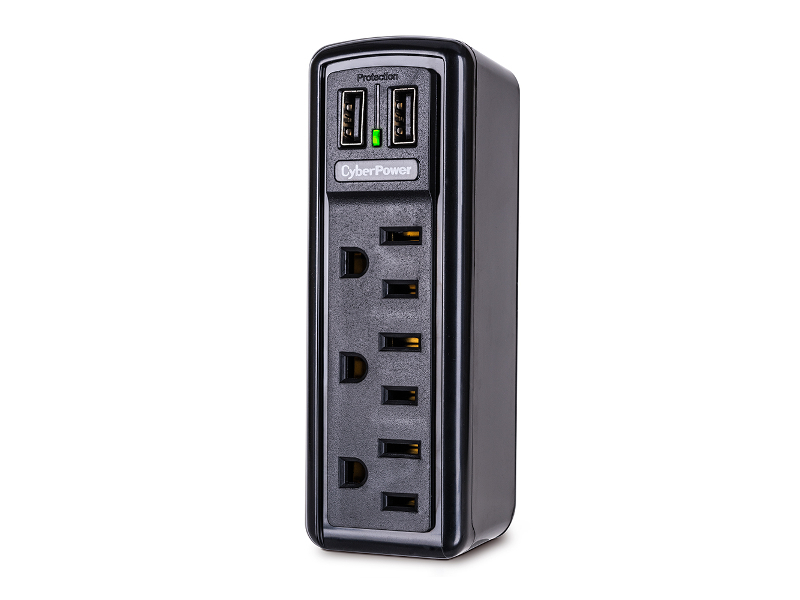 Are you looking for a power supply with more than 2 courtesy outlets ? or AC power outputs ? Hi. More than two courtesy ac outlets or just ac outlets would be fine. I am not really going to use this with standalone pedals (eg: 9v or 12v pedals). Cyberpower TRVL918, only 1.5 wide but has 2" side plate that you can dual lock to underside of board. But you have to supply extension cord, it's made to plug directly wall socket. What effects are you trying to power? There is the Cioks AC10 that can accommodate two AC powered pedals. That rig, for me, gets the job done without the need for external pedals. @DaveKS Thanks...I'll look at that one. Not exactly what I had in mind but might be fine. I think he's talking about courtesy outlets, not AC vs. DC power. Could be wrong. Thanks. If it's AC powered effects though that he needs to power, there is no reason to power them thru AC taps of a PSU, hence the Cioks AC10. Chiming in with the low-tech solution: if I needed more than two courtesy outlets, I'd be looking at bolting a six-plug surge protector onto my board. My bass board has a nice surge protector bolted to the top of it... It dates back to when I was running each pedal off a wall wart, though now that I have a One-Spot you can see most of those plugs aren't even getting used. Still a pretty sweet set up for a lesser-used board, though I use a PP2+ on my guitar board. There are these enclosures that you can wire up yourself. that's a cool idea. little bit out of my league though as I'd be nervous wiring up electrical outlets like that and would want some sort of fuse/breaker involved too.